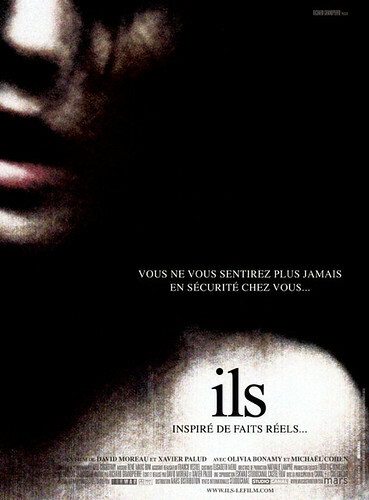 Ils, a French title also known as “Them”, is the European inspiration behind the 2008 American horror movie, The Strangers. The films’ premises are nearly exact – an attractive couple find themselves terrorized by anonymous intruders in their secluded home during the wee hours of the night – but I much prefer Ils reliance on suspense, darkness, and sound over The Strangers’ “come and go” villains who depend on cheap scares and often seem to be professional disappearing acts. At just 77 minutes, the film wastes no time with unnecessary back stories or plot building, but excels in delivering a tense “life or death” experience with solid opening and ending scenes. There’s never any cell service in horror. I really want to see this one! Is it worth it? Yeah, I think it’s worth the watch. It’s pretty short, so even if you don’t end up liking it you won’t waste too much time!